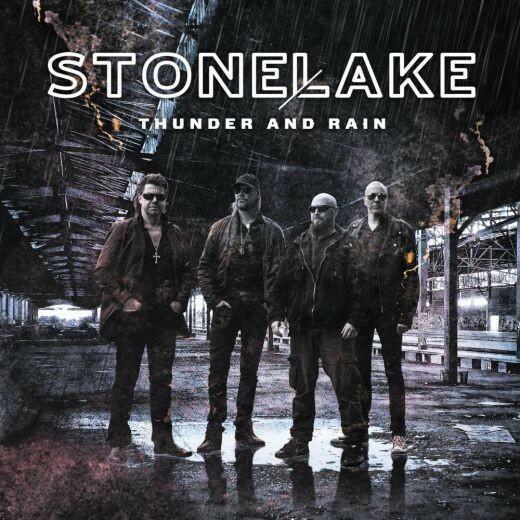 Swedish Hard Rockers StoneLake offer 'Thunder And Rain', their third release in a partnership with StoneLake's founder Jan Akesson, following previous albums from S.A.Y and Jan Akesson's Shadow Rain, and this album being their first release in five years. In 1984 guitarist Akesson and singer Peter Grundstrom met after performing at the same show whilst in different bands; Akesson was in Ravage and Grundstrom was fronting Whitelight. Their meeting led to the conclusion of Akesson's work with Ravage and he became a new member in Whitelight in the fall of the same year, then moving on to perform with bands such as Why Not, Perfect Stranger and Dr Blue. Fifteen years later, Akesson contacted Grundstrom for a "reunion" and out of that, StoneLake was formed. The line-up consists of Akesson (guitars and keys), Grundstrom (vocals), Lasse Johansson (bass) and Jens Westberg (drums). Think back to the days of old school Hard Rock, full of fast and loud guitar riffs, pounding rhythm section, big keyboards and high-octane vocals. Think bands akin to Europe, TNT etc. and you are on track to the sound of Stonelake. Kicking off is the title track, keyboards firmly at the forefront layered nicely into the mix of hooks to get you in the mood for some solid Swedish Rock, demonstrating the soaring vocal range, technical guitar licks and driving rhythm, which is also true for most of the following tracks. The exception to the above and the first of the ballads, 'Dreams' is the longest track at five minutes long. It is sorrowful, with full, rich passionate vocals powering into an emotive rising chorus and a couple of delightful guitar solos, whilst 'Only Shadows' is stripped back to the bare bones leaving Grundstrom to show his great vocal range, powered along with a thumping rhythm and a melody full of twiddly guitar licks. 'Don't Lose The Faith In Your Heart', on the other hand, is one of the harder tracks, taking the pomp right back. Ending on a high is 'Red Sun', which is probably the fastest of all. 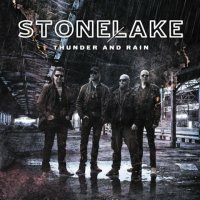 This album is a solid package of good old school Hard Rock with a modern twist, and if you are into your Hard Melodic Rock, then Stonelake are definitely worth checking out.